Is the world seeming to pass your organization by? Are you stuck in a past that stubbornly resists change despite your best efforts? Are you facing a blank sheet of paper for a new organization or a new work unit? Increasingly, such questions are foremost in the minds of leaders. PKR, working with pioneers in organization design and social systems theory, has developed a method and set of tools to help leaders and their teams to answer them. We work from a set of principles: that people understand best what they help to design; that people care more about what they help to design; that organization design properly includes holistic attention to function, structure, and processes within the unique context surrounding the organization to be designed; that system problems and solutions advance iteratively over time; that it is possible to influence the future, not just wait for it to occur. Our approach has led to dramatic breakthroughs in vision and performance for education service agencies, school districts and their communities, and other kinds of organizations. In fact, we support a growing national network of practitioners who define, practice, and refine organization design methods. Problem Formulation. Understand the interacting set of problems facing your organization. This set of problems is called "the mess." A mess is an integrated set of problems that requires an integrated set of solutions--a design. Design Solution. Ask yourself and other stakeholders the design question, "What would you have if you could have what you want?" Build your design from what people want, not what they want to get rid of. Successive Approximations. 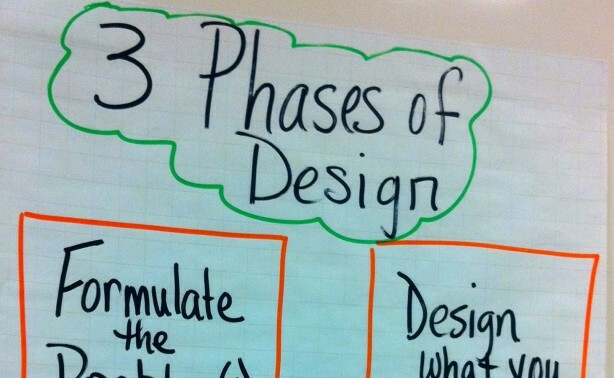 Enact your design in phases, each one getting closer and closer to the idealized design you developed. Take advantage of opportunities, and use strategic planning. Problems facing your organization don't exist independently. They feed one another in a dynamic, integrated way called "the mess." All organizations have a mess, but many don't have leaders courageous or informed enough to challenge it. Incremental, piecemeal solutions produce a steady stream of frustrations for such leaders, for a mess is entrenched in the culture of the present and the successes of the past. Left to itself, a mess may continue to strengthen and eventually lead to an organization's downfall. PKR provides leaders the support they need to tackle these tangled sets of problems: we offer tested methods and tools, including system analysis, dynamics modeling, and obstruction analysis. It is sometimes said that understanding the problems you face is more important to the change process than the solutions you design. Design from what people want, not what they want to get rid of. Ignore constraints for the moment, and design the future you want. After all, if you cannot say what you would love to have without the constraints of time, money, and knowledge (among others), how can you possibly imagine a better future within those constraints? Collect information from stakeholders, benchmark innovators, and generate a number of integrated solutions to the entire messy set of problems you face. Design simultaneously the functions you want the organization to perform, the structures it will take to organize people and other organizations, and the processes it will take to get the work done. PKR guides you through this part of your design work, relying on the theory of social systems. A good organization design will represent a 3-way stretch: a stretch in aspiration about what the organization can accomplish (functions); a stretch in form (organization structures); and a stretch in operations (processes for getting the work done.) Implementing a design is no turnkey task. Instead, it requires leadership--the ability to influence those over whom one has no control (to quote Jamshid Gharagedaghi of INTERACT). Strong leaders find that an organization design co-created with stakeholders gives them a license to lead that they have not enjoyed in the past. They can say with confidence, "We are headed there and here's a way to move us in that direction." They can frame decisions in the context of the organization design, and they can do small-scale experiments to test new ways of operating that the old culture might have rejected without the collective vision represented in the design. PKR supports leaders as they bring their design to reality through consultation and critical observation. 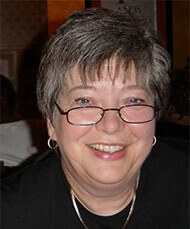 Susan Leddick is a consultant in organization design and improvement. An effective consultant and trainer with extensive experience in both the public and private sectors, Susan helps you and your team develop practical solutions based on sound theoretical principles. Registering for a PKR workshop or other event? Requesting a consultation or other service? Click the button below to send your information directly to us. Process Improvement is the basic workhorse for increasing organization performance. Based on Dr. Deming’s Plan-Do-Study-Act Cycle (PDSA), PKR’s approach is a step-by-step method that has reliably produced improvements in quality, cycle time, client satisfaction, cost, and staff efficacy in hundreds of settings over the past two decades. As applicable in a state department of education as in a manufacturing plant, process improvement is a core competency for the 21st Century worker. Our approach to process improvement enhances work you may already be doing as Professional Learning Communities, communities of practice, or Action Research. Strategic Planning is a critical leadership role, but one that often works best with consulting help. PKR’s approach draws from a variety of sources for a straightforward and interactive planning process that challenges assumptions, capitalizes on organization strengths and opportunities, and formulates goals and strategies that re-invigorate outdated thinking. 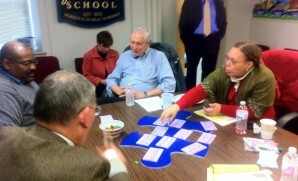 Strategic Planning is most effective when it follows design, but many organizations use it as a stand-alone practice. 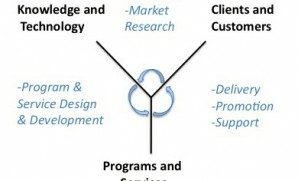 Service Design is an exciting new development for all service providers. Service Design helps design teams get more focused on the client, think more broadly about the client's experience with the service, speed up the development cycle, and encourage more innovation. New tools and design practices tailored especially for the creation or redesign of new or existing services can be transferred to other service projects. Organization Design is for two kinds of situations: the need to create a brand new organization (whole or part) and the need to make a fundamental shift from the organization of yesterday to one more suited to today and tomorrow. In the second situation, leaders find their organization’s context changing so rapidly that new functions, structures, and processes are called for. A pivot from the past to the preferred future is the essence of organization design. Organization Design entails problem formulation, design, and implementation planning. It is based on what people want, not what they want to get rid of. The theory base is social systems.